I'm a relatively new artist looking for advice. Don't worry, I did just not activate image upload for everyone yet, but now I have. Okay, since you want advice, I'll use the opportunity to help. There are two things in your picture which could be improved, and both are kinda related. The first thing is that you lack a proper vanishing point. 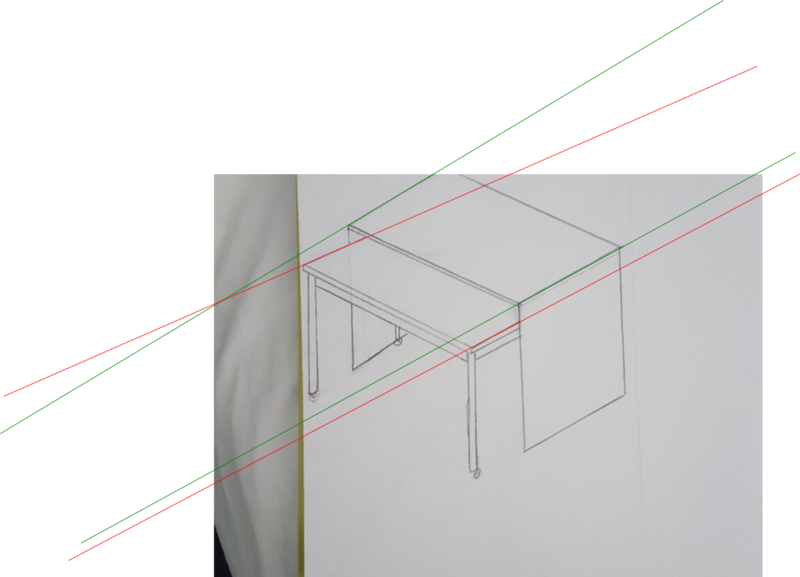 From the looks of it, you tried to draw this desk combo in one point perspective, because the lines angleing to the left look parallel to me (although I didn't check it with lines). 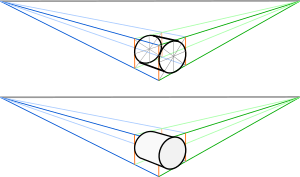 In properly drawn perspective, those lines would all converge in the same point, meaning that the green lines from the big table would never cross with the red lines from the smaller one. The second thing is, that the tables lack thickness. While you managed to give the tops proper depth, the legs show only one side, as if those where only thin as paper, it also shows very much in the rolls, which are simply circles, instead of little cylinders. Of course you could also have wanted to try to draw in isometric perspective, in which case all parallel lines have to stay parallel. That said, I like the quality of your draughtmanship. I have a feeling that you took efford in drawing clean lines with a ruler, and it shows. I also find it great that you actually work on this stuff, perspective is one of those important basic tools in an artists arsenal! I'm looking forward to your next drawing. Thank you for you advice, I appreciate it. I see exactly what you mean in regards to the sides of the upper desk. The wheels, though presented a huge problem that I still feel unequipped to handle. I need more practice drawing round objects. Do you have any suggestions for learning how to accurately draw wheels (or any other circular object) from varying perspectives? Regarding drawing round objects in perspective, I advice you to first draw a bounding box for your object in perspective and use this as a guide for your final drawing. 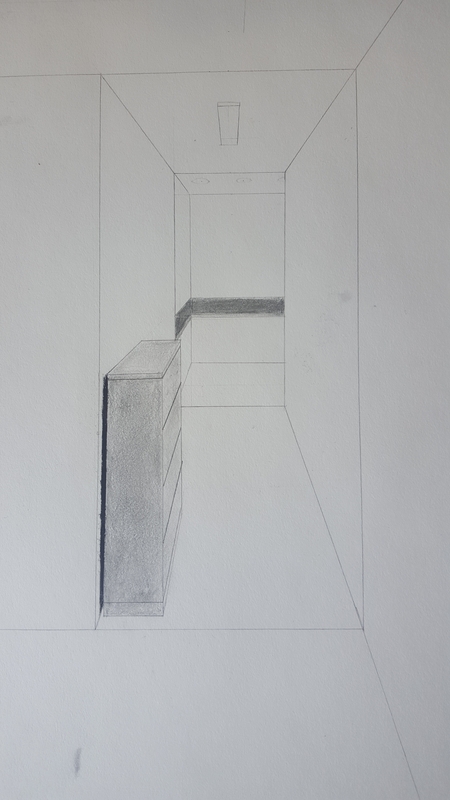 If you want to heighten your skill to draw in a constructive way and work on your draughtmanship, I think the lessons at http://drawabox.com/ might be very helpful for you. Of course the slightly less grey ares should look a bit more fuzzy, but I think you get the idea. 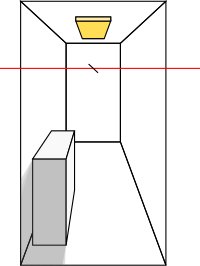 I got the shadow by drawing the rays from the four corners of the lamp to determine where the light from that point does not reach and overlayng these zones with each other.